There are so many beautiful things happening at Pottery Barn right now. For those who may have abandoned the store due to what seemed like unoriginal style, now is the time to take a second look. 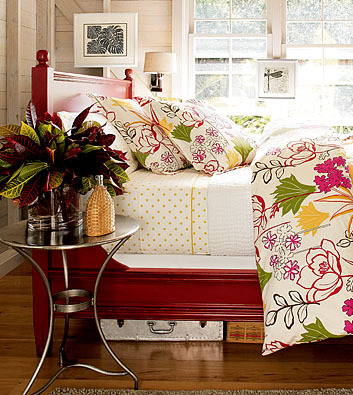 Layers of color, diverse prints, and beautifully crafted furniture are all a part of Pottery Barn’s look for Summer. Explore things like the Polka Dot Sheet Set above. What could be cuter? Outdoor dining is so stylish in these Lela Dining Chairs. 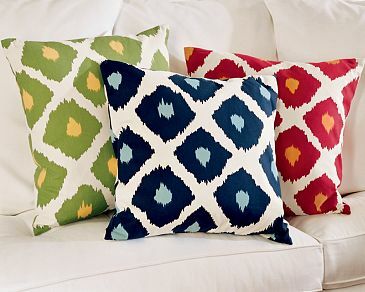 Ikat Pillow Covers are a wonderful accessory to bring life to a plain white sofa. 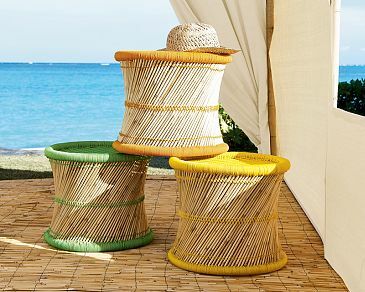 The Taj Stool is a an all-around piece that can fit both indoors and outdoors, acting as a side table or extra seating for those summertime parties. I am most surprised by the diversity in color and design. Look at the Pottery Barn Rug Collection. 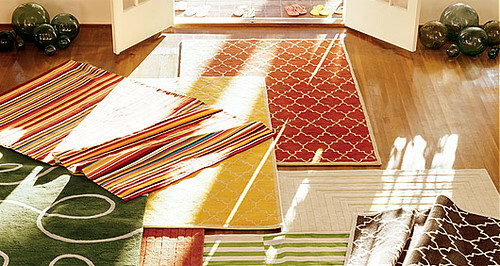 Moroccan influence abounds, and rugs range in Summer hues of orange, yellow and green. 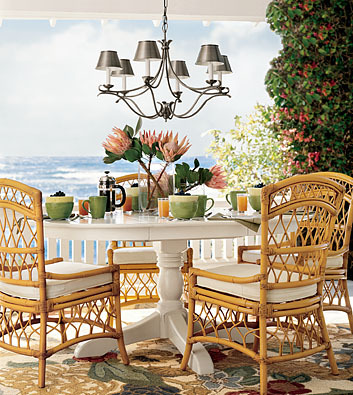 If you’re looking for that perfect Summer accessory for your home, look no further than Pottery Barn. You are sure to find something to make your home look fabulous just in time for Summer. A great mind definitely gave new life to the Pottery Barn collection.Thank you for the alert. I’m on my way to have a look myself. Hammocks and High Tea Mood Board Happy Friday!